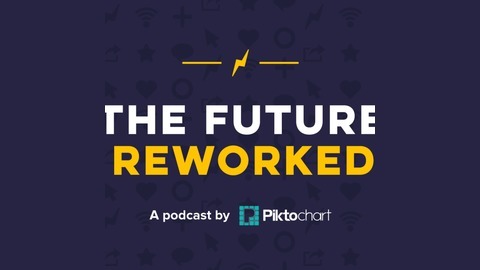 'The Future Reworked' is a podcast by Piktochart that's documenting the future of work movement. 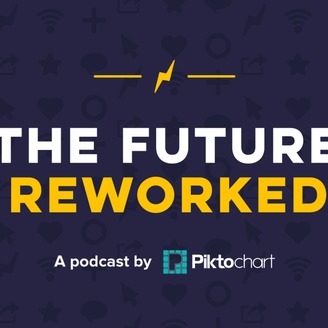 Here on the show, you’ll learn about how companies across the globe, big and small, are allowing their people to redesign their work lives the way they see fit. You’ll get to meet Internet entrepreneurs, digital nomad marketers, people who are leveraging technology and globalization trends to become happier and more productive. And they’re working with companies that really get it. Episode 03 - Can VR Make Meetings Less Unbearable? SHOW NOTES: Chance Glasco of Doghead Simulations, makers of VR meeting software Rumii (http://www.dogheadsimulations.com/). 1:00 - video conferencing a two-dimensional experience until virtual reality headsets showed up 2:22 - Introducing Chance Glasco, of Doghead Simulations and Call of Duty franchise cofounder 3:55 - Getting video game industry burnout, hightailing to Brazil to plot next move 5:14 - How VR meetings help with focus and engagement 6:23 - Social presence. Simulating being in the same physical location as people using VR technology 8:02 - What does a VR meeting look like? Chance gives us a virtual tour 9:13 - Humans are visual creatures, being able to perceive body language in remote meetings improves engagement 10:13 - Video game and business world overlap where we can enter “spectator mode” to re-experience missed meetings 12:05 - A team that plays together, stays together. 13:15 - 2017 was a year of exciting breakthrough technologies. What’s next? 13:53 - Seeing your colleagues in hologram form? Yes please! References: 1. According to the Center For Economics and Business Research, office workers believe more than 50% of that time is actually wasted. 2. A Salary.com survey reveals that 47% of workers have named “too many meetings” as the number one time waster at the office. Episode 02 - Fully-Distributed Teams: How Does SchoolKeep, Buffer, Hanno, Toggl Do It?